Candidate Bobi Wine says a prayer after casting his vote. KASANGATI. 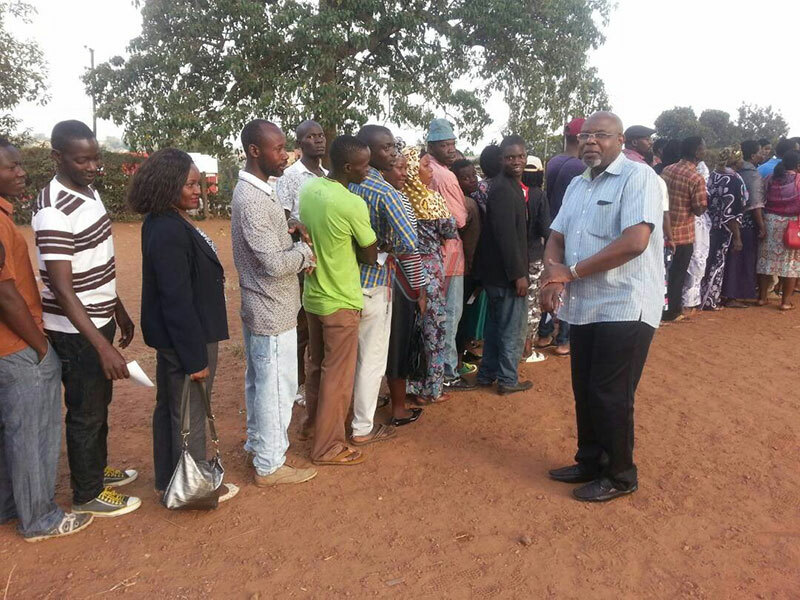 Voting in the by-election for the Member of Parliament for Kyaddondo East started here on Thursday morning with voters quitting up to choose their representative. There were reported delays of voting materials at some of the 93 voting stations like Kasangati dispensary however others reported a smooth process early on. Thursday, June 29 is a defining moment for Kyaddondo East constituency electorate when some 72,818 voters are expected to turn up around 93 polling stations to decide who will represent them in Parliament for the next four years. 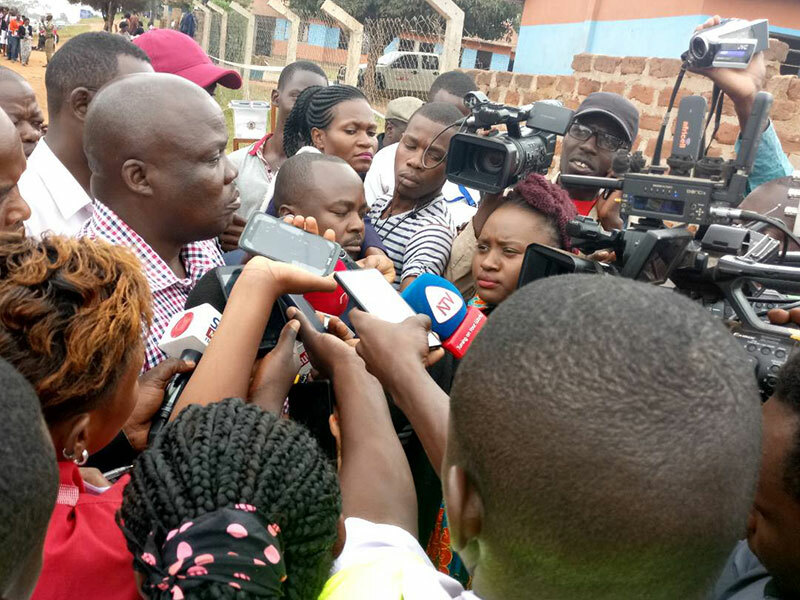 The by-election was set rolling when court threw out Forum for Democratic Change (FDC) MP Apollo Kantinti after EC failed to comply with electoral rules. Kantinti is tussingling it out with nemesis, the ruling NRM’s William Sitenda Ssebalu, and new entrant, independent candidate Robert Ssentamu Kyagulanyi, aka Bobi Wine, who is the surprise package of the by-election. The others include Kayongo Sowed and Muwada Nkunyingi, all independents. NRM’s Sebalu casts his vote. The Electoral Commission Chairman, Justice Simon Byabakama-Mugenyi said each polling station would have two polling agents of the candidates. There was heavy deployment of police and military on Thursday morning, with candidate Bobi Wine, complaining that his agents had been rounded up in Katade parish. Police was yet to respond the accusations but had in a press release earlier in the day said they would monitor the poll to avoid any breach of peace and security. The police has deployed 900 officers, according to Kampala Metropolitan Commander, Frank Mwesigye. 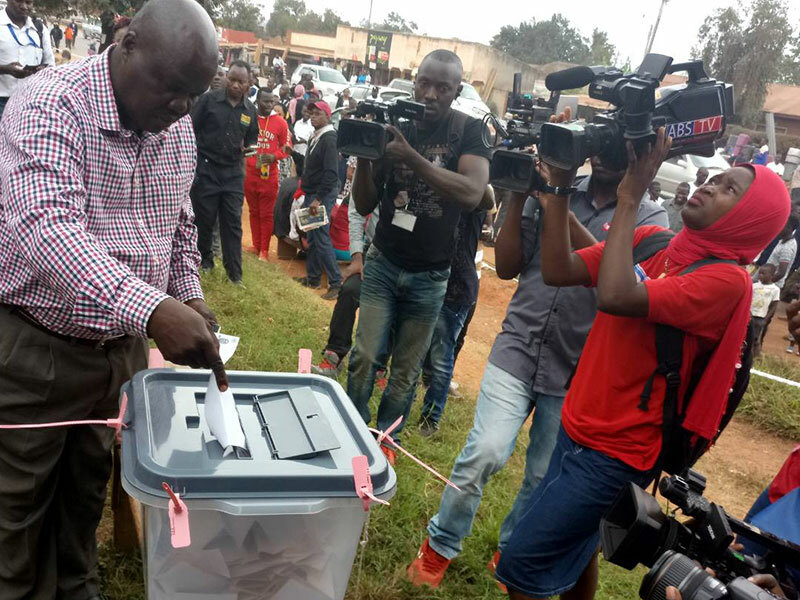 As the leading contenders Bobi Wine and Ssebalu voted, FDC’s Kantinti was not able to vote as he was missing on the voters roll for Kyaddondo East. Kantinti is a registered voter in Mukono municipality, but would not affect his eligibility to represent Kyaddondo East according to the EC. “The requirement for nomination as a candidate for MP is that you must be a registered voter, and not necessarily in the particular constituency where one wants to stand. So a person can stand and in case of victory, represent a constituency where he is not registered as a voter,” said Paul Bukenya, the EC’s deputy spokesman. Sebalu addresses the media shortly after casting his vote. Candidate Bobi Wine cast his vote at his home polling station of Magere at 9.am amid cheers from his supporters. 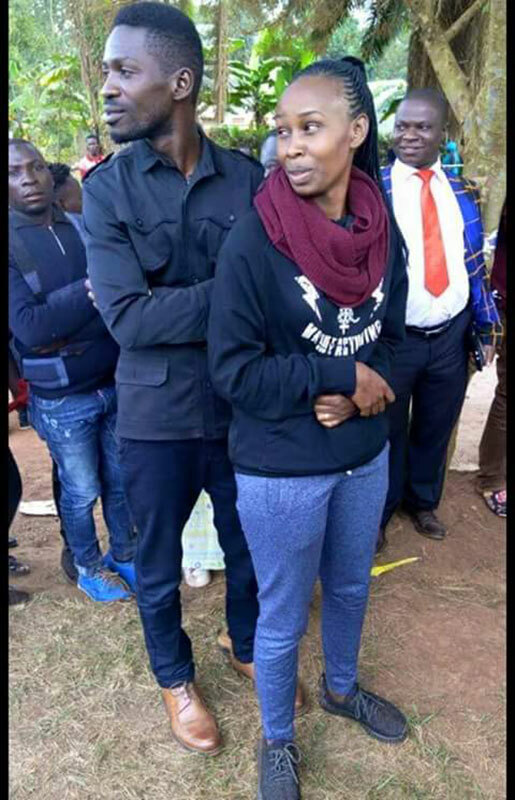 Kyagulanyi, was accompanied by his wife Barbie Itungo Kyagulanyi. 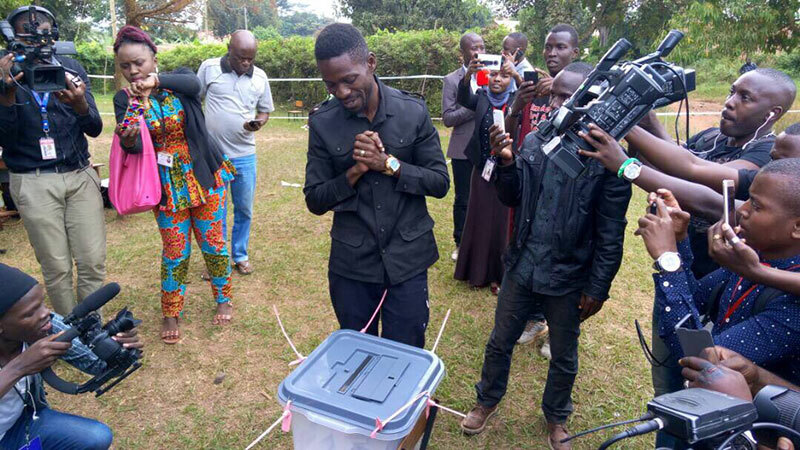 Speaking to journalists after voting, Mr Kyagulanyi who was in buoyant mood said option was not an option, and said he expected outright victory later in the day. The NRM’s Ssebalu also cast his vote at Yogemu PS polling station in Masooli Parish at 9 am, while Mr Nkunyingi and Mr Kayongo voted from Kitezi and Watuba respectively. Votes will be tallied at Ssaza polling station, the main tally centre after voting closes at 4pm and counting is done at the respective polling stations.